In its latest attempt to step up its style appeal, Apple has debuted a fresh set of watch wristbands. The new spring lineup introduces a military-inspired woven strap that will be offered in seven different colorways. The band was created using 500 different threads to create a super durable four-layer construction The other offerings include a new selection of leather and sport colors, as well as a space black stainless steel Milanese loop band. Since the Apple Watch was introduced a year ago, the tech company has made several attempts to make the gadget more fashionable. The debut of the spring lineup suggests they will be releasing new styles more frequently to continue giving the watch a more customized look. If you happen to still need a watch to go with the new bands, there&apos;s good news. Apple also announced that it is slashing the price of the watch to a more affordable $299. 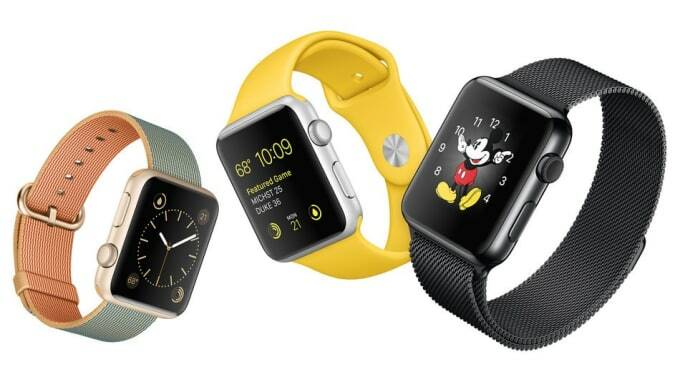 You can shop the Apple watch products here.